On February 1st – 3rd , 2018 27 SHS FCCLA members participated in the Family, Career, and Community Leaders of America Region V Conference in Corpus Christi, TX. Congratulations to Emiliano Becerril, Armando Padron, and Carlos Zarate for taking 1st place –Sports Nutrition! 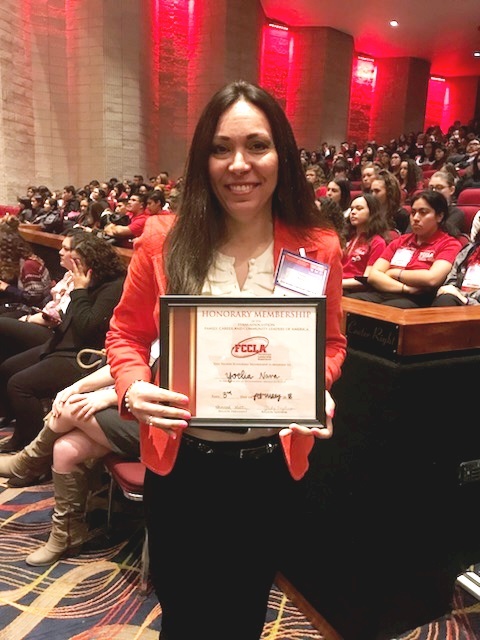 CTE Director Yoelia Nava was elected and recognized as an 2018 Honorary Member for her support of FCCLA! Congratulations!